Our cookbook is available for purchase at the office of each of our organizations. 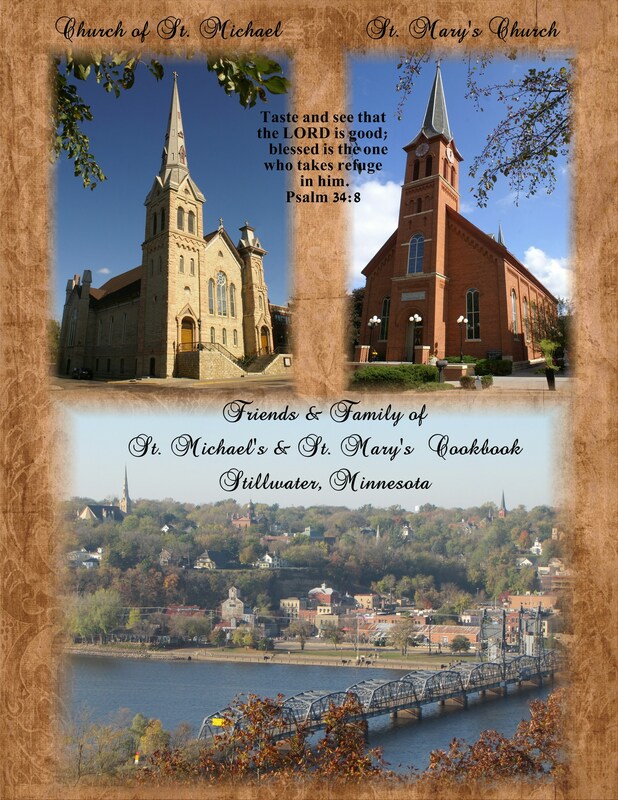 This wonderful church cookbook has St. Mary’s & St. Michael’s church and Stillwater photos on the front, a brief history of our parishes, an excerpt of Fr. Miller’s beautiful article called “The Steeples overlooking the Saint Croix Valley”, food found in the bible, guest recipes, local advertisers, and over 1000+ tried and true recipes. All for only $20 or 5 for $95. This is a great keepsake for parishioners and visitors alike. A few corrections can be found below.